Welcome to the Happy to Translate website! 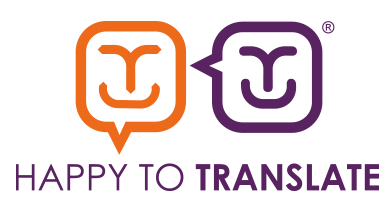 Happy to Translate (HTT) is an award winning national scheme which enables organisations to engage effectively with customers who speak little or no English. Organisations of all sizes and types in both the public and private sectors can become a member of HTT. Our members are inclusive organisations that are committed to making their services available to all. HTT guidelines help members to embed an ethos of cultural awareness and sensitivity in every aspect of their communications. HTT policies and procedures ensure that customers are not marginalised as a result of language barriers. HTT tools and processes equip your staff with the skills and knowledge needed to communicate with those who speak little or no English and provide practical assistance. 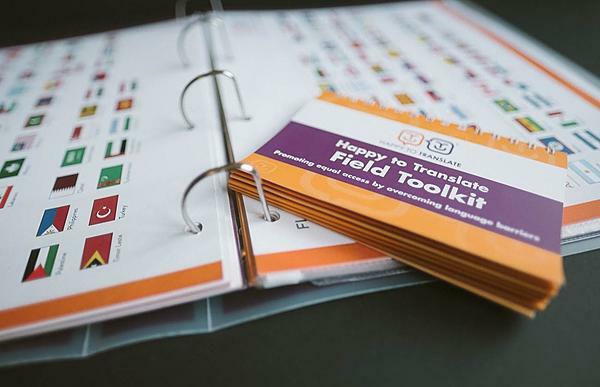 As a member of HTT, your staff will be ready to handle any language issues that arise confidently and professionally. In this section we've put together some of the questions we frequently get asked about. HTT gives us a single recognisable LOGO that helps Edinburgh City Council comply with our equalities obligations and provides a consistent quality in delivery of customer services. Its benefits are particularly useful in printed leaflets where the single logo and short script greatly reduce the space needed to get the necessary translation information to our customers. The tool kit and training resources are great too. How accessible is your organisation for those with little or no English? Click here to take our five question quiz!